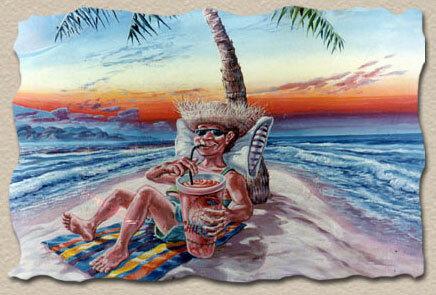 There's a lot going on in Cancun and the average visitor just can't take it all in during one trip. And some of the good stuff about Cancun just never makes it to the tourist brochures. Fortunately Carlos Fiesta is a rather inquisitive sort of character, and he has researched almost every square inch of Cancun over the last 25 years. 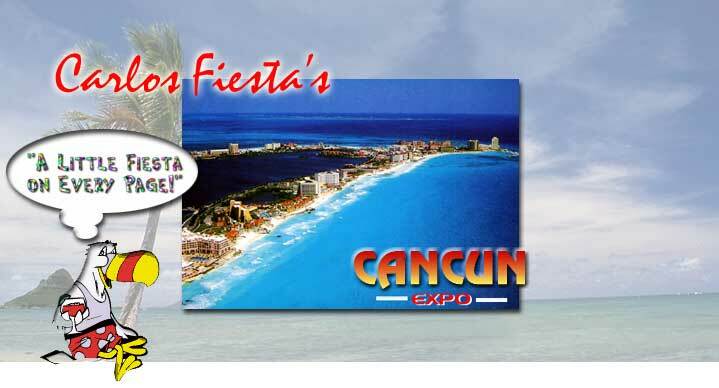 Much of what Carlos had discovered is presented throughout the 100 plus pages of Cancun Expo. But here's a few things you may not have known. Beaches are one of Cancun's claim to fame. Some are great some are spectacular. But every beach on the Yucatan Peninsula is open to the public. Not everyone knows that all of the beaches in Cancun are owned in full by the Mexican government. From the mean high tide line up the sand a full 20 meters (approximately 60 feet) any citizen or visitor can enjoy any beach in Mexico. The Mexican government can allow the right for individuals and corporations to lease this 60 meters of beach and provide minor improvements, but full access must be retained for the public. This means you can enjoy any beach you can get to in Cancun. Even the beaches in front of the swankiest resorts in Cancun are yours for the take. And there is no charge. Even though you are allowed the right to pull up yur towel on any stretch of coastline, getting to some beaches is easier than others. Most hotels in Cancun do not have a problem with you walking through their lobby to get to the sand. Some of the more exclusive hotels may want you to "walk around" to get to the beach. Either way, your day in the sun is guaranteed. If you are lucky enough to sit next to a long time fisherman on your flight down to Cancun it is likely that he will share with you his love for the "old Cancun" before it was discovered. The old Cancun was hard to get to, had only a couple of hotels, few tourist facilities and only a handful of visitors flew in to enjoy the prestine waters offshore. This same fishing village atmosphere can still be found 44 minutes down from Cancun in Akumal. Akumal is a piece of paradise that may some day fall the way of Cancun. But until then the spectacular beaches, crystal clear waters and laid back lifestyle are all waiting for you less than an hour down the coast. If you really want to relax, this is the place to go. Visitng Akumal is from Cancun is often done in conjunction with an excursion to some of the other destinations south of Cancun. Xel-Ha, Xcalak, Playa del Carmen and Tulum are just four examples of great Cancun getways. For further information visit the AKUMAL section of Cancun Expo. Cancun city is a whole different experience than Cancun Island. And tons of fun! There is a much more casual approach to dining downtown, with the added advantage of very reasonable prices. 99% of the visitors to Cancun never visit Cancun City. It's just a few blocks past the bridge at the northwest end of Cancun Island, but lightyears away in character. The quality of the food downtown is generally very good, and if you are not afraid to break away from the convenience of Cancun Island's Hotel Zone, a true adventure awaits you just across the bridge! Depending upon where you are staying on Cancun Island, downtown Cancun is probably not more than 10 to 20 minutes away from most island hotels. This is where the local people work, shop, play...and dine. Visitors who want to experience a real Mexican town and a fun dining experience are usually glad they took the trip into the authentic world of Cancun City. You have several meals during your stay in Cancun. Consider having one of them at Cancun City.